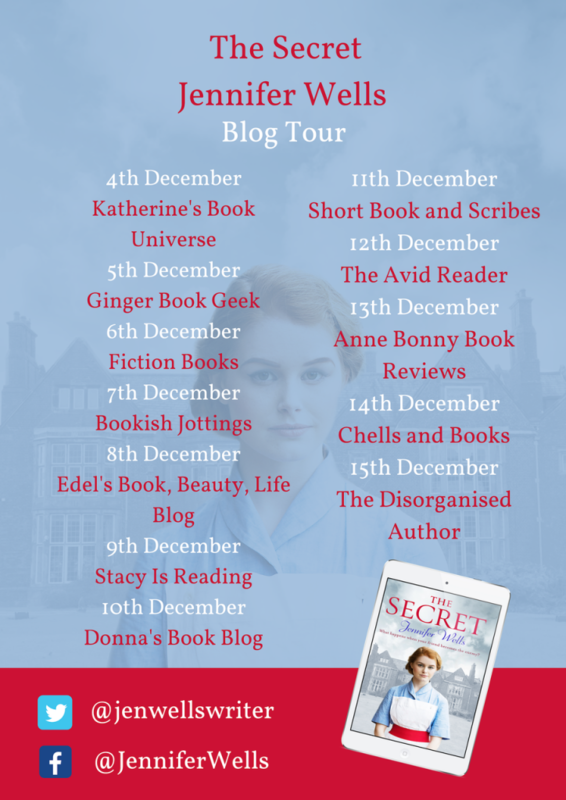 Aria Fiction have arranged a nice compact Blog Tour for The Secret, so having had a sneak peek at some of the other stops, I recommend you visit a few and enjoy the excellent reviews, extracts and Guest Posts being shared. The author, Jennifer Wells, has also contributed this lovely Guest Post for Fiction Books to share. As always, thanks also go out to NetGalley for their seamless download service. 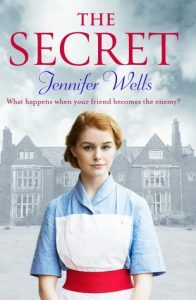 Missensham 1942 – Young nurse Ivy Watts is called out to a patient at Elmridge House, home of the aloof Mrs Cuthbertson and reclusive Dr Cuthbertson. 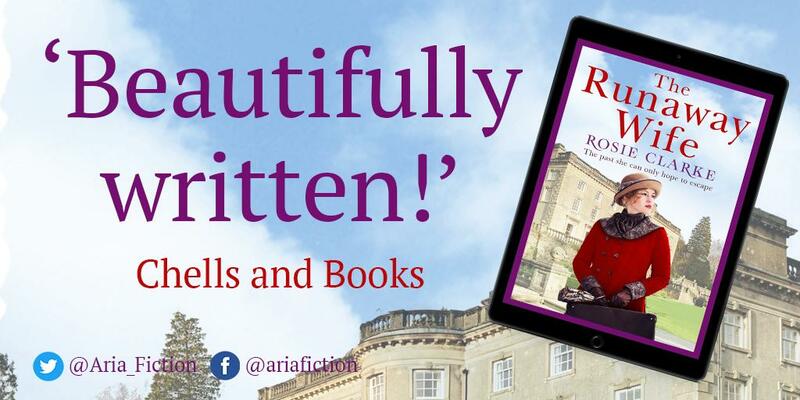 Ivy is entranced by the opulence of the house and its glamorous past, but when she tells her mother about Mrs Cuthbertson, her mother becomes fearful and forbids her from returning to the house. What secrets does Elmridge House hold? And why does Lily’s mother live in fear of the mysterious Mrs Cuthbertson? Jennifer’s early childhood was spent touring England’s canals on a dilapidated narrowboat. As an adult, she travelled further afield visiting Russia and the South Pacific, with a stint working on the banana farms of Queensland. 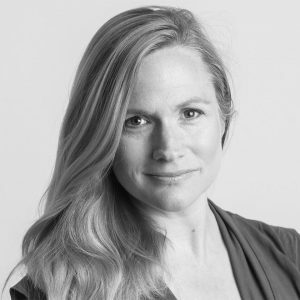 When she ran out of money, Jennifer came home and worked in Media and Market Research in London before moving to Devon, where she lives with her young family and cat, still working in Market Research when not writing. The Secret is her third novel in the series set in fictional Missenham in the English Home Counties. Like most authors I am a bit of a daydreamer. The slightest thing can send little stories racing through my head which usually end with someone waving a hand in front of my face and saying something like: ‘Hello, are you there?’, ‘You let the pan boil over again’, or ‘The meeting ended ten minutes ago͛. I love to think about how people lived in the past, and I get most of my inspiration from those little pieces of history that are all around us. 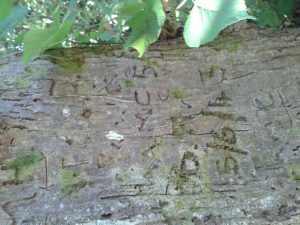 Below is a photograph of some initials and dates carved into a tree which I came across during my lunchbreak at work. Were these made by wartime lovers? 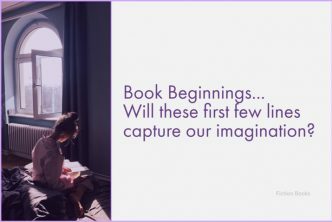 This of course includes things like plotting, structuring and character development – I could go on and on. We͛ve all heard Thomas Edison’s quote that genius is 1% inspiration and 99% perspiration. Well I can’t claim to know about genius, but the same is true of writing a novel. I write every spare minute that I get (and with a 9 to 5 job and two small children that is not many). I am becoming myopic from the hours I spend staring at a screen, and don’t ask me how much weight I put on when I write a novel! If you like to spend your evenings savouring a fine meal, socialising over a glass of wine or even crashing in front of the telly, writing a novel is not for you. These fall into two categories. Firstly are those that at self-inflicted and occur when you are locked away pretending to do the hard work. Examples are social media, making the fifth cup of tea, putting half a load of washing in the machine and general author neurosis (the symptoms of which are many and varied). Then are the distractions that are out of your control (loosely termed as ‘life͛ ). 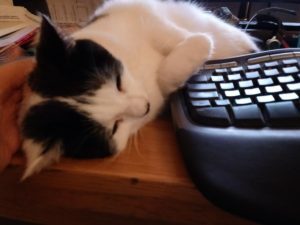 These include things like the wasted evening you spent sitting by your poorly child’s bed holding the sick bowl, the hours you will never get back while your computer updates and, of course, the cat that won’t get off the keyboard. 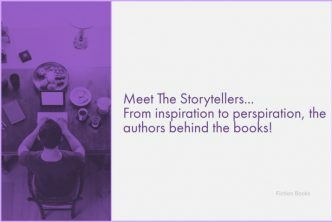 Creating a novel is not all down to the author, there are so many others involved in the production of a book – editors, publishers, marketing people and graphic designers – people that I will never meet and probably some who I don’t even know exist. 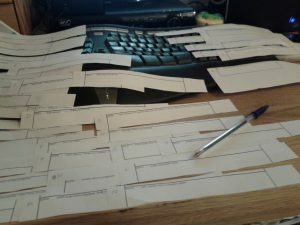 Editing is a particular challenge – the drafts go from me to the editors, and then back to me again, and then back to the editors and then … well, you get the idea. Is the author in the picture smiling or gritting her teeth? Is the book hugging or strangling her? I think everyone involved would agree it is a bit of both. So the book is here. It looks great. Time to relax? Not really. I’m rubbish at social media but there are people working hard behind the scenes to promote it for me, again many of whom I don’t know exist, and there are the lovely book bloggers and reviewers who do their job for love and little else. My gratitude to them all. 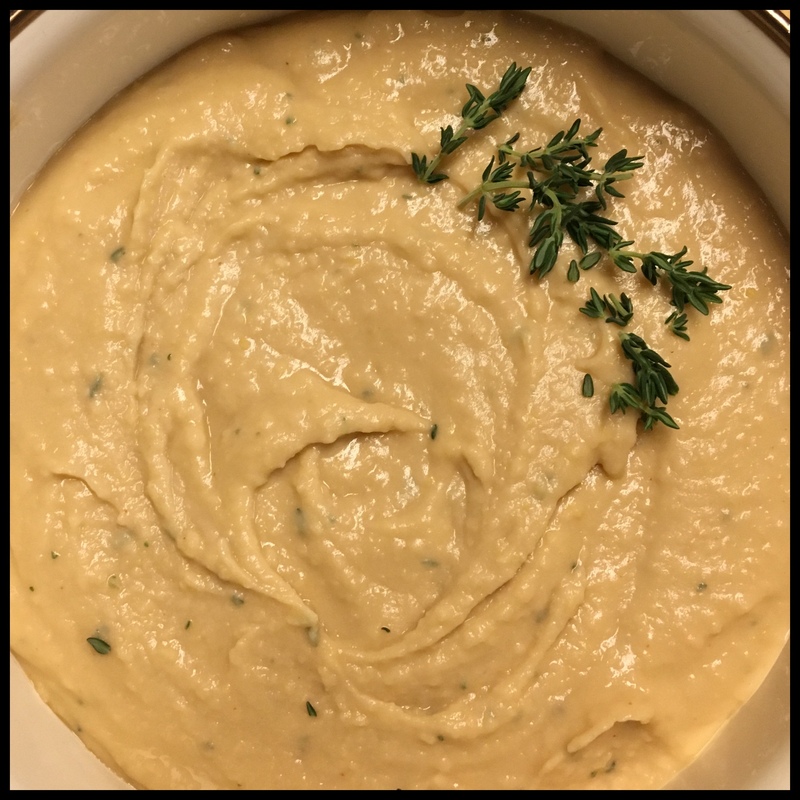 What a fun, interesting, and refreshingly down to earth guest author post! I love all the visuals that go along with it, too. It sounds like a really good story, so I hope to see more about it here in the future, Yvonne. I really do enjoy hosting a good Guest Post and I appreciate the time and trouble some authors go to, to make them fun and interesting, for what is really, quite a modest audience. I promise that I do my best to share them all far and wide, on whatever social media, or word of mouth platform I can! 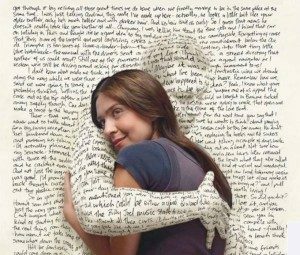 I particularly enjoyed the ‘book hug’ image, even though it did give me a slight dose of the ‘heebie-jeebies’ for some reason. I always enjoy these guest posts but this one was really good as as Kelly said what a refreshingly down to earth guest author. As for the book? Hmm! Maybe. It just seems there are a lot of war time books featuring nurses and I’m not too sure I’m ready for another one. 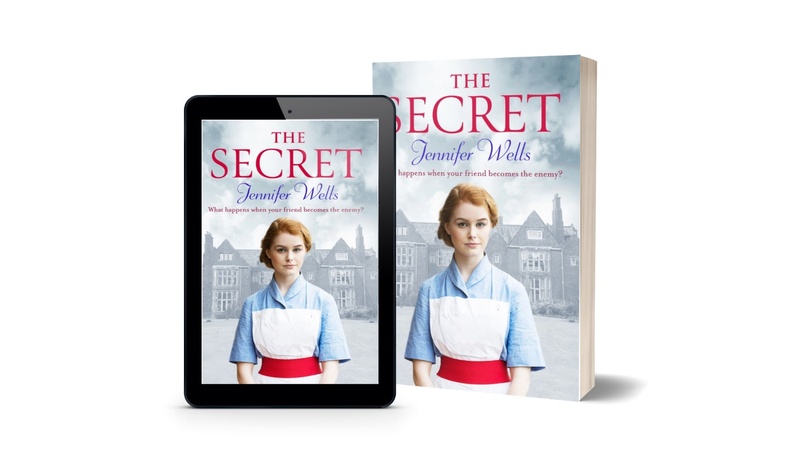 This will be author Jennifer Wells’s third historical fiction book, all set in 1930s and 40s England, yet all with very different premises and all attracting some excellent ratings and reviews. I can however, fully appreciate what you are saying about war-time nursing stories, so if a break from the genre is in order, then there is nothing wrong with that. A good Guest Post can still always be enjoyed though, so thanks for taking the time to stop by and comment. Hi Yvonne, The Secret sounds good and great guest post! i know we can all relate to those distractions in our daily lives. It’s all a matter of balance. Enjoy your week and I hope you are doing well. I don’t have too much blog time this month but will be popping in from time to time. Most of my time is controlled by a timetable, both physical actions and time allocation for each event, so I know exactly how Jennifer feels when those unexpected distractions upset the planned schedule. The ‘VOILA’ moments come with a deep sigh of relief, I can tell you! It will be the same here in relation to time constraints this month, so I’ll touch base with you whenever possible and if not I’ll drop you an email!